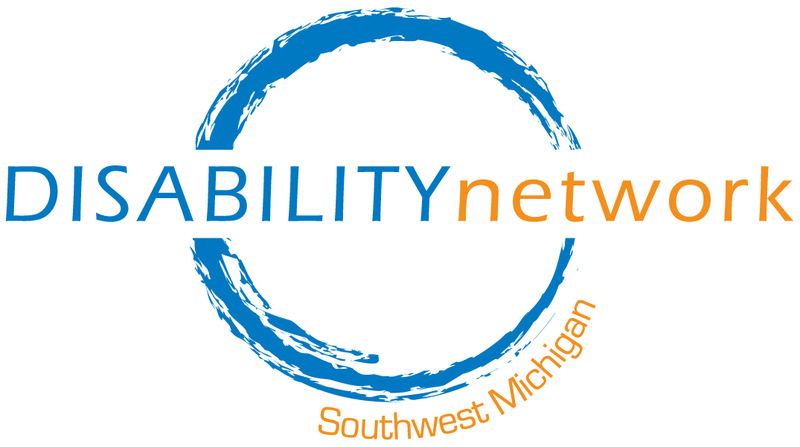 ST. JOSEPH – The graduates of the Disability Network of Southwest Michigan’s eight-week Advocacy Academy have learned that it takes a push to get change rolling. This year’s participants – Madeline Gallagher, of St. Joseph, Steven Jones, of Benton Harbor, Emily Kowerduck, of Stevensville, Travis Noles, of Watervliet, and Andrei Sullivan, of Niles – have convinced officials to provide online reservations for Dial-A-Ride transportation for people with disabilities. “It’s really cutting-edge for a smaller system,” commented Kim Gallagher, a senior planner with the Southwest Michigan Planning Commission, at Tuesday’s Advocacy Academy graduation ceremony. Madeline Gallagher, her daughter and a junior at St. Joseph High School, took part in the Advocacy Academy. She admitted that the group started with the grandiose plan of changing the entire public transportation system in the tri-county area. With a little brainstorming, and advice from their mentors, they scaled back their dreams to a more workable goal. Steven Jones said that all the participants had had difficulty at one point in scheduling transportation. Sometimes it can be because of a speech impediment that makes it difficult to communicate with the dispatcher, he said. The other graduates said they have been left waiting a long time for a bus, or have been left stranded. Under the current system, rides have to be scheduled 24 hours in advance, and only between the hours of 8 a.m. and 5 p.m., Sullivan added. The online system will allow riders to schedule transportation around the clock, with less advance notice required. It also will provide a record of requests, in case a ride is missed, Kim Gallagher said. They expect the system will be up and running within three to six months. The Advocacy Academy alums started their project by researching the local public transportation system, and what is available in such cities as Chicago, Kalamazoo and Portland, Ore., where Jones is from. They took their findings to the Southwest Michigan Planning Commission, the Twin Cities Area Transportation Authority and state Sen. John Proos’s office. Travis Noles said that they posted a Facebook page that collected 166 “likes,” along with a Twitter page. They conducted a survey of residents who use paratransit for disabled residents here and found that most have access to the technology to make an online reservation. The majority thought such an improvement would be helpful. Joanne Johnson, education and outreach coordinator at the Disability Network’s St. Joseph office, was impressed by the effort. Deb Panozzo, a Berrien County commissioner and transportation advocate, praised the group for the thoroughness of its presentation. Sullivan said the participants sometimes got a bit bogged down in brainstorming, and the occasional prompt from the mentors got them moving again. “They gave us about a fourth of an answer” and the group figured out the rest, Madeline Gallagher said. This is the third year for the program that promotes leadership development and advocacy skills, Johnson said. Previous groups have worked on emergency preparedness for senior citizens and on expediting Social Security payments for people with disabilities. Joel Cooper, president and CEO of the Disability Network of Southwest Michigan, attended the graduation. He predicted that the graduates would continue to lobby for improvements in the lives of people with disabilities. “They are now living, breathing advocates for disability rights,” Cooper said. Along with their graduation certificates and stipends, the participants received proclamations recognizing their work from Sen. Proos, Rep. Dave Pagel, Gov. Rick Snyder and U.S. Rep. Fred Upton. Andrea Sullivan, a senior at Cornerstone University in Grand Rapids, told the audience that their work is not just for people with disabilities, but for the entire community. “The point is, you need to speak out before something happens to you,” Sullivan said.